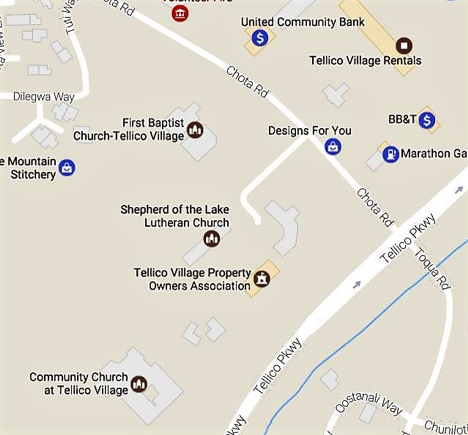 Shepherd of the Lake is a loving congregation of Lutherans and other Christians in Tellico Village who strive to live our lives in faith, trusting in God’s love. Our services are joyful, inspiring and heartfelt, and all visitors are truly welcomed. We support and serve at many local ministries including Habitat for Humanity, the Good Samaritan Center, Knoxville Area Rescue Ministries, the Good Shepherd Center and The Neighborhood. There are many volunteer opportunities in Worship (Asst. Minister, Lector, Alter Guild, Usher, Choir, Communion Asst., etc. ), In-reach (prayer groups, card ministry, member support, bible study, etc.) and Outreach (local social agencies, local disaster relief, ELCA missions and others). We welcome all people to Holy Communion. Bread and wine serve as the hosts through which we receive God’s forgiveness and mercy. We celebrate Holy Communion by intinction, first receiving a wafer and then dipping the wafer into either wine or grape juice. A common cup of wine is also available.Our worship service with communion is based on our Lutheran background and uses a traditional liturgy with a blend of traditional hymns and contemporary music. God’s word is proclaimed through scripture readings and a sermon by our Pastor. The church and its facilities are accessible and hearing assistance devices are available from the ushers. 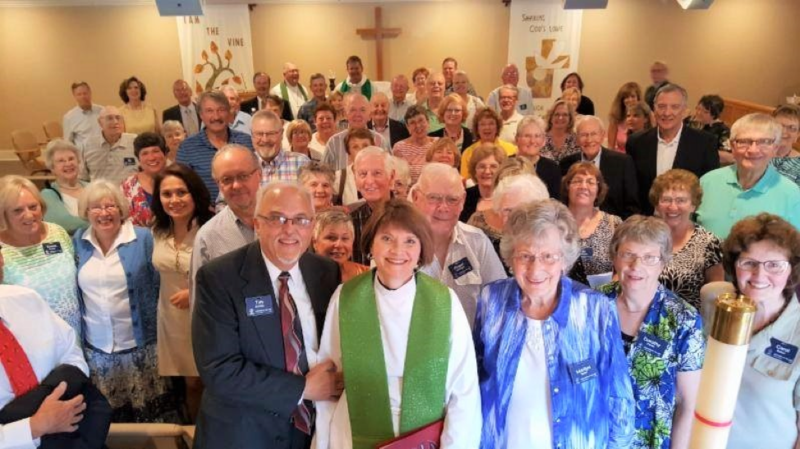 Sunday Worship with Holy Communion 9:00 a.m.
Shepherd of the Lake welcomes all of God’s children. We invite people from all backgrounds to experience and share the good news of Jesus Christ and to celebrate the opportunities given to us to love God and love mankind. 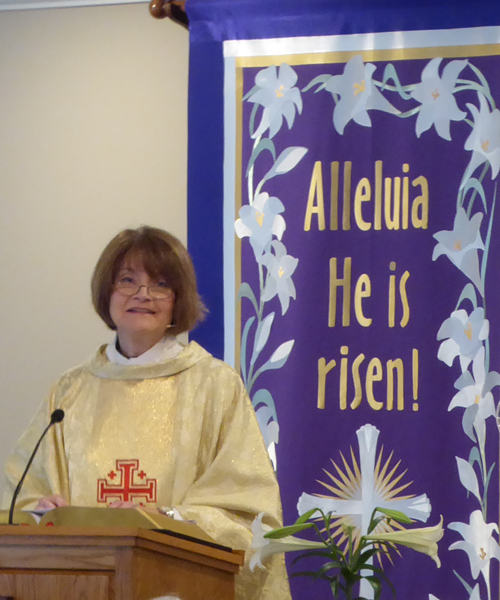 Our weekly worship is a traditional Lutheran service led by the Reverend Ingrid J. Schalk with an Assisting Minister from the congregation. We offer Communion at every service and all visitors are welcome to partake. Our choir sings monthly and on many special occasions and services. Additional services are held during Lent and Advent.